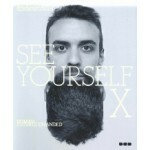 The book 'See Yourself X. Human Futures Expanded' is the second volume of Madeline Schwartzman's timely series that began with 'See Yourself Sensing. Redefining Human Perception' (2011), a collection of fifty years of futuristic proposals for the body and the senses. 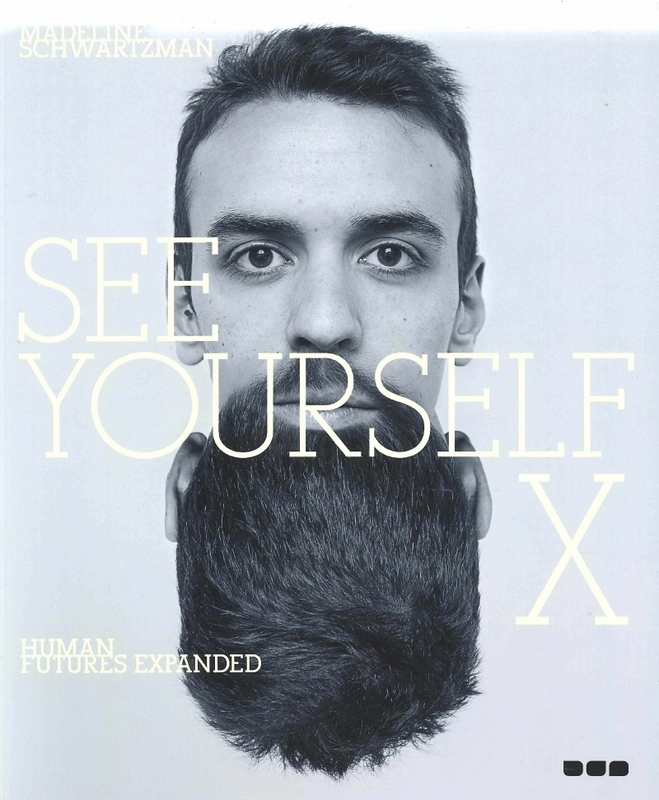 See Yourself X focuses on the human head - our fundamental perceptual domain - presenting an array of conceptual and constructed ideas for extending ourselves physically and technologically into space. What will be the physical future of the head and the sensory apparatus in fifty years time? How will our mechanisms for communication change, prompted, as predicted by technologists, by the advancement of brain-to-brain communication? 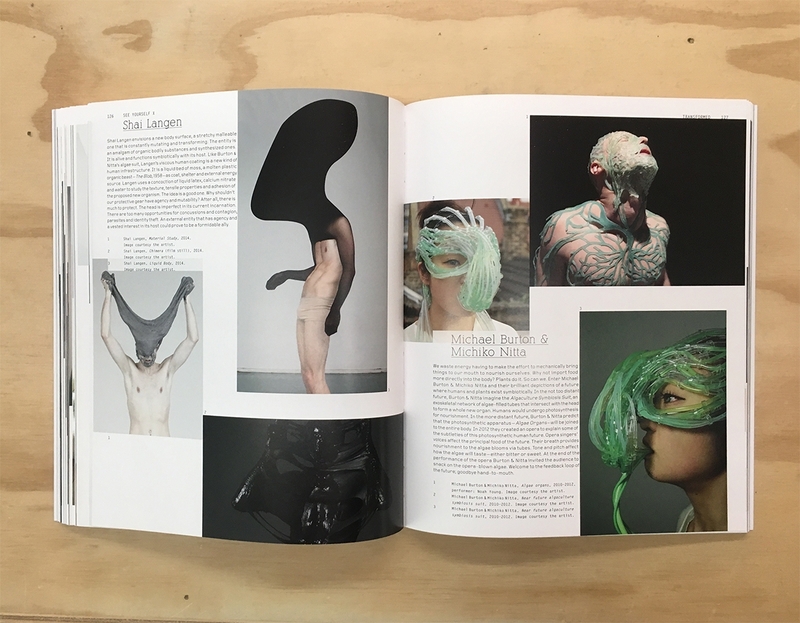 See Yourself X looks across disciplines and media at contemporary and historical proposals for the human head, in the hope of casting into the future. See Yourself X explores all forms of extension of the head into space, including new organs, hair dos, masks, head constructions and gear, headdresses, prosthetics and helmets by a range of interaction designers, fashion designers, photographers, illustrators, hair artists, painters and scientists. 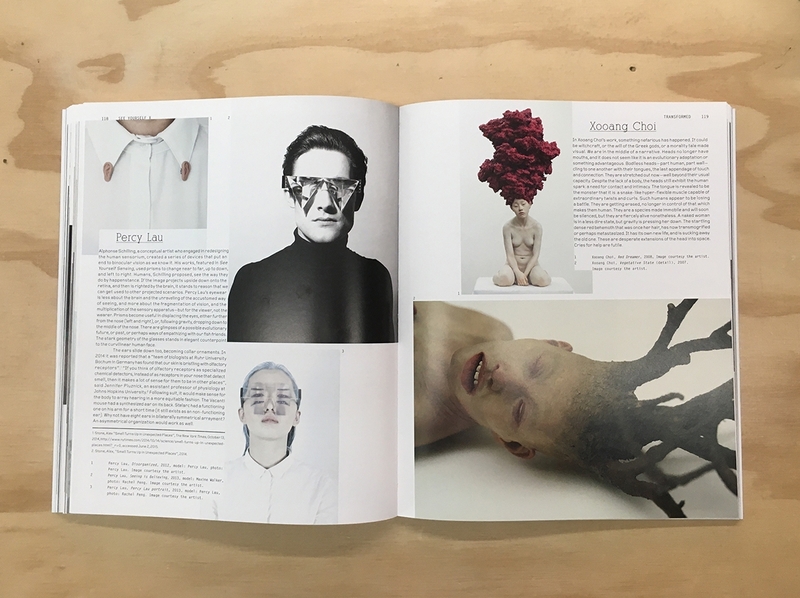 Conceptual topics include the obliteration of the face in fashion and art; the transformation of the head using masks, prostheses, biological modification, and post-human displacement; the projection of politics, power and virility via wild extensions of the head; the translation, decoding and deployment of the brain and dismantling of the intact body, and the representation of human traits and psychology via the analysis and deciphering of facial features. See Yourself X had inauspicious origins. In March of 2012, Schwartzman was involved in an airplane crash on the way to a book talk. The wing of her Delta MD-80 knocked over a shuttle bus at over 150 miles per hour while landing in Detroit. Luckily no one was hurt. But it did spark an investigation: do pilots feel the width of their wings - a nearly 150 foot span? This was the catalyst for See Yourself X to look across art practices and contemporary culture at all ways of extending the head into space, and to move headlong into the future. See Yourself Sensing has been used widely at design institutions across the world. 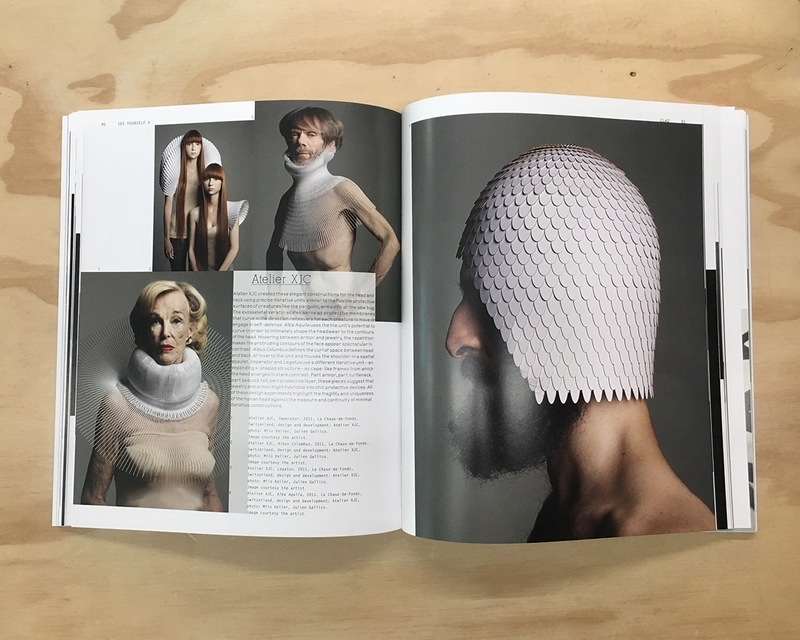 See Yourself X, like its predecessor, will be both an exhibition in book form, and an academic book, and will include examples of Schwartzman's innovative head-centered pedagogy and student projects from design programs at Columbia University and Parsons: The New School For Design.